Minichamps 1:18 diecast model of the #0 Williams FW16 as driven by Damon Hill in the 1994 Brazilian Grand Prix. 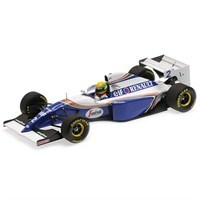 Minichamps 1:18 diecast model of the #2 Williams FW16 as driven by Ayrton Senna in the 1994 San Marino Grand Prix. 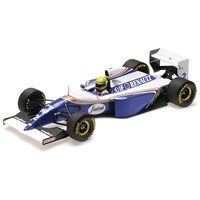 Minichamps 1:18 diecast model of the #2 Williams FW16 as driven by Ayrton Senna in the 1994 Pacific Grand Prix.